Students from Wright State’s chapter of Engineers Without Borders spent their spring break in Uganda working on a sanitation project. Getting certified in 3D modeling software widely used in industry is available for the first time to students in a class in the College of Engineering and Computer Science. 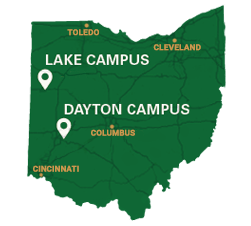 Are you a current Wright State student looking for information? Contact your advisor. Wright State values your privacy. An internship with the FBI has led Wright State junior Jacquelyn Smith to pursue a career in law enforcement after she graduates.